I’ve been needing a chocolate fix lately – with all the stress of getting our house on market, frustrations with my kids’ school, plus regular busy life it’s nice to have a little treat as a pikc-me-up. 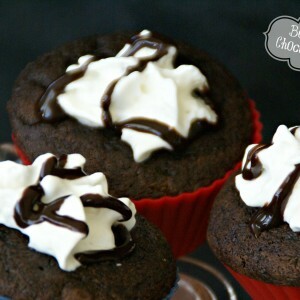 So today I’m sharing this INCREDIBLE Chocolate-Brownie Cupcakes with White Ganache Frosting with you! They are just super moist-yet-flakey, flavorful, and Oh. My. Heck. ADDICTING! I *may* have had trouble ont just eating it all from the batter! Seriously, I’m drooling just remembering this batch. And I have no idea which I like best, the cupcake or the frosting – they’re both just perfect. Even separate! But together it’s just like – WOW. Try them, they won’t disappoint! Preheat the oven to 375 Degrees F. Spray or line two 12-cup cupcake tins. Set aside. In a small bowl, mix the Flour, Baking Powder and Salt. In a large bowl, beat the Eggs, Sugar and Vanilla about 3-5 minutes, or until light and fluffy. Add the melted Chocolate and melted Butter, continue beating until well-combined. Add the flour mixture to the chocolate mixture and whisk until just combined. Stir in the (not melted) Chocolate Chips. Spoon the batter into the cupcake tins/liners, filling about 2/3 of the way to the top. Bake about 10-15 minutes, or until a toothpick inserted comes out MOSTLY clean (some moistness is fine). In a small saucepan, over medium heat, bring the Heavy Cream to a simmer. Remove from the heat and add the Vanilla (or White Chocolate) Chips. Stir until the chips are fully melted and the mixture is smooth. 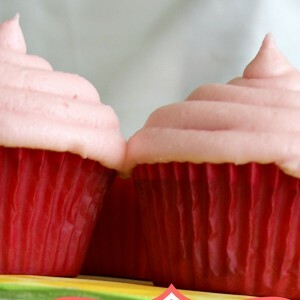 Chill about 1-2 hours, then allow to sit at room temperature about 30 minutes up to an hour – just until it’s the right firmness to frost the cupcakes. Need some other Chocolate ideas? Easter is here! And what makes Easter so fun? Decorations! Easter decorations are so pretty and get me so excited for spring with all the fun colors especially after gloomy winters. 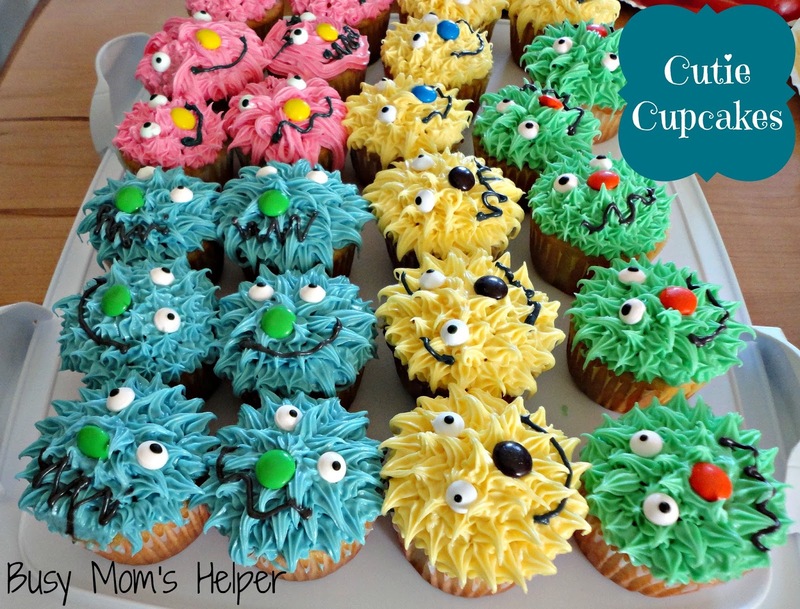 So here are some really fun and impressive Easter Cupcakes to wow guests or just to enjoy yourself! So I live where from about November to almost the end of March we have snow, freezing weather, and gloomy outdoors, so when Easter hits I get super excited to bake anything because of the bright, fun, spring colors I get to use for the Holiday. These Easter Cupcakes turned out so cute and everyone was impressed. The marshmallow flower was actually pretty simple which I was a little surprised about and it looks amazing! I also did a few mini cupcakes as well just to have some bite size snacks. 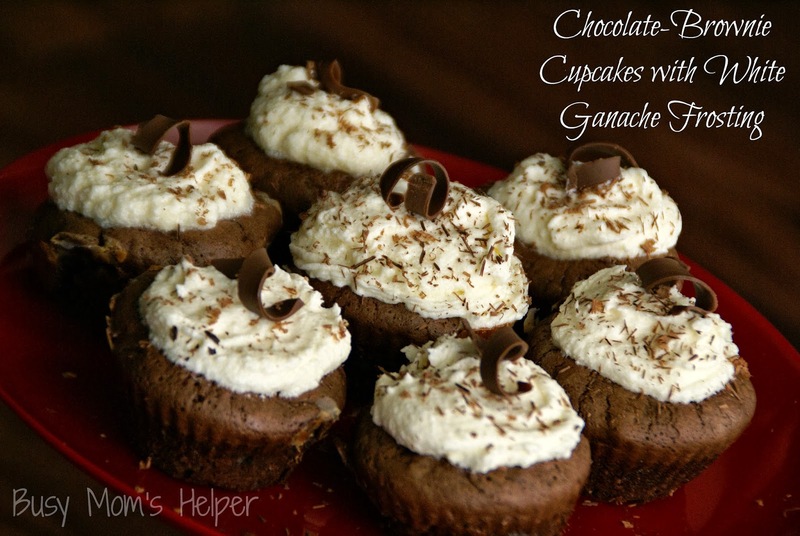 And yes I did a homemade cupcake mix but any box cupcake mix works just as well. Preheat oven to 350 degrees and line cupcake tins with liners. Cream together melted butter and sugar in a mixer. Add eggs and vanilla and mix until nice and creamy. Slowly add flour mixture and buttermilk alternating between the two. Pour batter into prepared liners about 2/3 the way full. Bake for 15 – 20 minutes or until toothpick inserted comes out clean. Cream butter and powdered sugar together. Slowly add in the whipping cream (or milk) until consistency is creamy and easy to spread but not runny. The cupcakes with the chick peeps just frost the cupcake either by doing a flower tip design with a piping tip or just frosting it normal. Place the chick in the middles and place miniature fruit flavored marshmallows around. Bunny cupcakes leave a little space in the middle of the cupcake without frosting, place the bunny there and then I piped flowers around the base of the bunny just to stabilize it more so it wasn’t falling over. Place fruit flavored marshmallows around. Fruit marshmallow cupcakes, frost and scatter marshmallows around. Colored flowered cupcakes. Take your plain mini marshmallows, about 10-14, and cut them diagonally and then place in a plastic bag. Take whatever color of sanding sugar and pour some into the bag, (you don’t need a lot so start with a little and you can always add more), shake! The sugar should stick to the sticky side and give you a pedal looking marshmallow. Starting with a frosted cupcake on the outer edge put a ring or marshmallows sprinkle side up. Then working from the outer edge in keep making circles until you reach the middle. 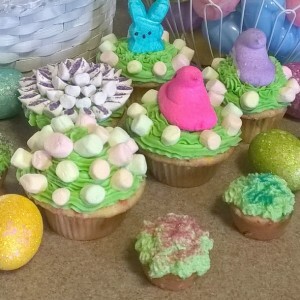 M&M’s, sprinkles, cadberry eggs, jelly beans, or even plain frosting can look really fun, with Easter Cupcakes it’s hard to not have fun colorful treats so use your imagination or wonder up and down the candy aisle at any store and I’m sure you’ll see something fun. We’d been counting down the days, and last week Big Hero 6 was FINALLY released on DVD! 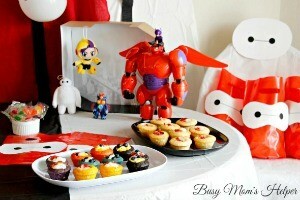 Our family loves it, so a Big Hero 6 Party was definitely in order…complete with Honey Lemon Bags, Pin the Tail on Fred and Cupcake Fruit Sushi! Free printables are always a must at parties, too, right? To prepare, we ordered some super fun Big Hero 6 toys and supplies from Walmart.com – my kids LOVE the shooting Baymax fist and helmet! They were a little upset when I insisted we use the super cute, plush Baymax to hang in my van, but it’s adorable and I love Baymax! When the DVD hit Walmart shelves, I was there nabbing their special 2-pack that’s ONLY available at Walmart! With the purchase of the Big Hero 6 Blu-Ray/DVD + Gift With Purchase Set, you also receive a digital movie on Vudu while supplies last! Simply scan your receipt using the Savings Catcher in the Walmart app. Then look for a message on your phone or email. Now you can watch Big Hero 6 on any device! Woot woot! Once I got all of our supplies ordered and a date set, I had to get some friends invited, right? So I put together some neat invitations to hand out…..
Then came the decorating before all those crazy, superhero-loving kiddos showed up! We used some tablecloths for backdrops, plus black streamers. I bought a pack of plain black circle stickers and used them on a LOT of our projects, such as on white balloons for eyes, just using a marker for the line between. We also nabbed some cheap red bags for favors, cut out white Baymax faces and used the stickers (with a marker for the line) to create his face! For some chairs, we covered with part of a cheap white plastic tablecloth, then used white paper, stickers and marker to make it a Baymax seat. Super fun! For the party food, we did WINGS just like Hiro’s sweet and goofy Aunt Cass makes! The big hit was the Cupcake Fruit Sushi, though! 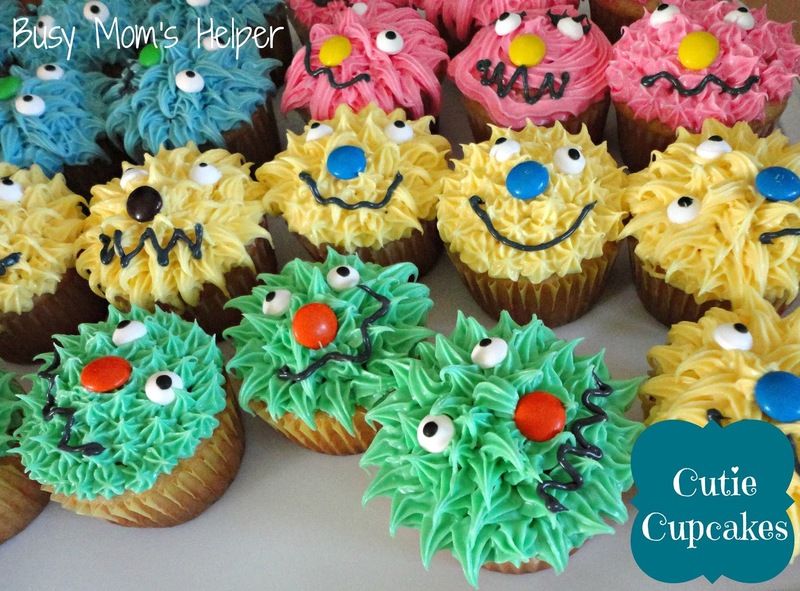 Whip up some vanilla cupcakes, then divide the batter in several bowls so you can add different food coloring to match the characters. Bake as instructed, then hollow them out…. Once they’re done, use Tapioca pudding or marshmallows for the white ‘fish eggs’ from normal sushi. Different colors of fruit can then be diced and put in to match the colors of the Big Hero 6 team! There were also these budget-friendly, fun to make Honey Lemon bags – complete with her chemistry balls! To make the balls, I first covered the styrofoam with a layer of plain glue and let dry. This made it so I could then spray paint them easily! Take a piece of felt and curve the top 2 corners of one side. Fold up the bottom part-way. Make sure the top flap will fold over almost all the way down…and leave an edge open for you to insert the balls. Hot glue a little so the top flap stays down onto the bottom. Hot glue two strips of felt (from another piece) into the bag edge, and glue them together at the top – this is the strap for the bag. Cut out a black felt heart, like on her bag in the movie. Then use puffy paint to do the button designs and add a little more fun to it! I finished it off by simple sewing (by hand, took a couple minutes total) these colorful beads along the handle. Now it REALLY looks like Honey Lemon’s bag! For the activities, we played Pin the Tail on Fred! You can download the Fred page HERE, then download THIS SHEET of tails! We even cut out neon-paper into circles, taped on glow sticks, and ran around like Go-Go! The kids thought it was awesome! They all had so much fun, and still love playing with the great toys we got for the party! They’re all still quoting their favorite parts from the movie, too. One of mine, other than Baymax’s fist bump, is ‘Woman Up’ by Go-Go! What’s YOUR favorite quote from Big Hero 6? I divided this into separate recipes: The Cupcake portion first, at the bottom is the Frosting recipe. Be sure to read the ENTIRE directions first, though, since the frosting requires some of the Pink Lemonade concentrate, as well. Preheat oven to 350 Degrees F. Spray or line a muffin pan. Set aside. Mix the Flour, Baking Powder and Salt together in a small bowl. In a separate, large bowl, mix the Sugar, Oil, Egg Whites and Pink Lemonade Concentrate. Pour the Buttermilk and flour mixture into the sugar bowl at the same time, mixing until smooth. Add a few drops of Red Food Coloring until you reach your desired shade of pink. Fill the muffin liners about 3/4 of the way full with the batter. Bake for 20-25 minutes, or until a toothpick inserted comes out clean. Remove cupcakes from oven and allow to cool completely before frosting. Add all of the ingredients EXCEPT the food coloring into a bowl and mix until combined. Add a few drops of Red Food Coloring until you reach your desired pink/redness. Beat until the frosting is the desired consistency, fluffy but semi-stiff peaks. 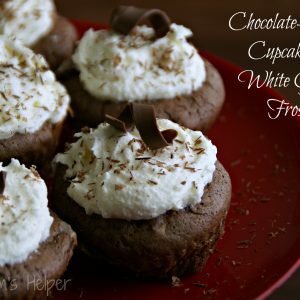 Frost the cupcakes, and ENJOY! Just to vent: I’m dreading tomorrow. Hubby has been able to work from home since Christmas, and even had some days off. It’s been SOOOOOO nice having him around more!!! Tomorrow, he goes back to a normal work schedule….and the kids aren’t back in school until Tuesday. Not only that, but he’s allowed our puppy to spend most the day curled at his feet at his desk, so SHE’S going to have major withdrawals, as well! Ugh…..hopefully in a week or two I’ll get adjusted back to our normal routines, but I’m not eager to start it. You know what makes things feel better? CHOCOLATE!!! Yup, I love chocolate. Always have, always will. If it ever became illegal (I think it’s technically an addictive substance that can be abused…but oh well), I’d be in big trouble. 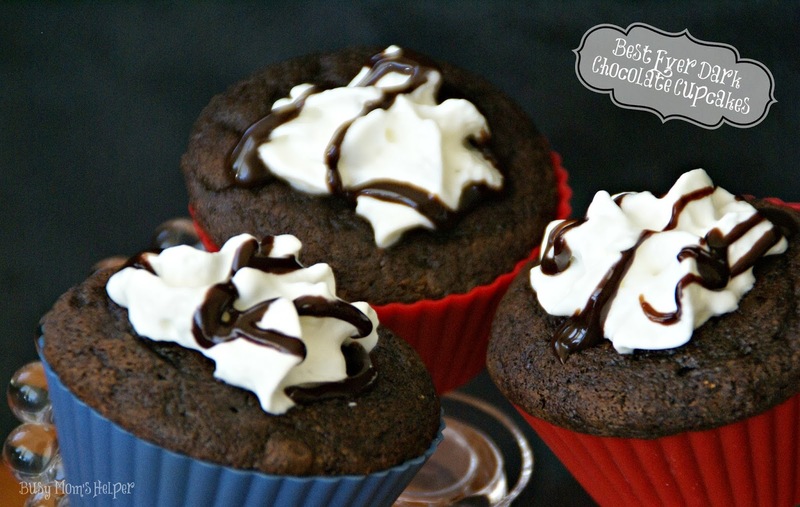 These Best Ever Dark Chocolate Cupcakes are FABULOUS for us chocolate lovers. So rich, yet not so rich that you want to stop at just one. 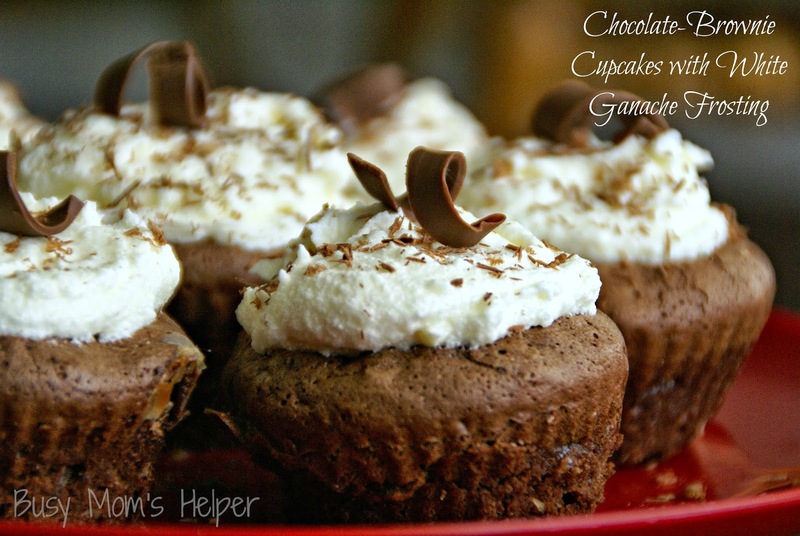 Not to mention – the cupcake BATTER is almost the best part…seriously So. Darn. Good!!! I’m not encouraging anyone to eat the batter because I don’t want to get lectured on how ‘unsafe’ it is (I’ve eaten batter all my life, no issues thus far) – but I will say that my first batch I ever did of these, I ate at least half the batter. It was AMAZING!!! Preheat the oven to 350 Degrees F. Spray or line two 12-cup muffin tins. Set aside. Melt the butter and baking chocolate together, stirring often. Set aside to cool. In a large bowl combine the Eggs, Sugar, Brown Sugar and Vanilla until well mixed. In another bowl, combined the Cocoa Powder, Flour, Baking Powder and Salt until well mixed. Add the Flour mix to the Sugar mix until well incorporated. Add the Buttermilk and Melted Chocolate Mixture. Scoop into the sprayed/lined tins, then bake for 15-20 minutes, or until a toothpick inserted comes out clean. Okay, can we all just admit that desserts are pretty much the BEST part of blogging? Although I love the crafting and cooking healthy meals and sides, the desserts are just so…well…yummy! Plus, you can REALLY have fun with them, and the options are endless. Ya, I love desserts. And sugar. And chocolate. No wonder I’m struggling to lose a few pounds! 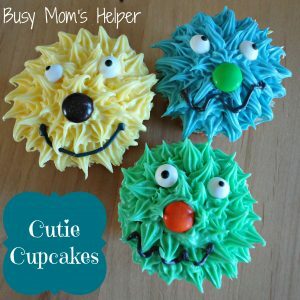 🙂 I’ve been eager to do this one – the 2013 Best of Busy Mom’s Helper: Sweets! 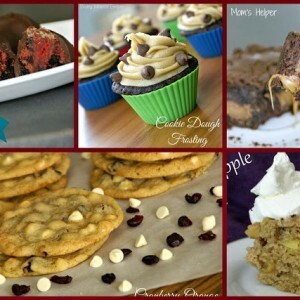 Here are the top dessert-related posts from the 2013 year, based on pageviews and re-pins. I figure if you’re all looking at them much more than the others, they must be great, right? Right! 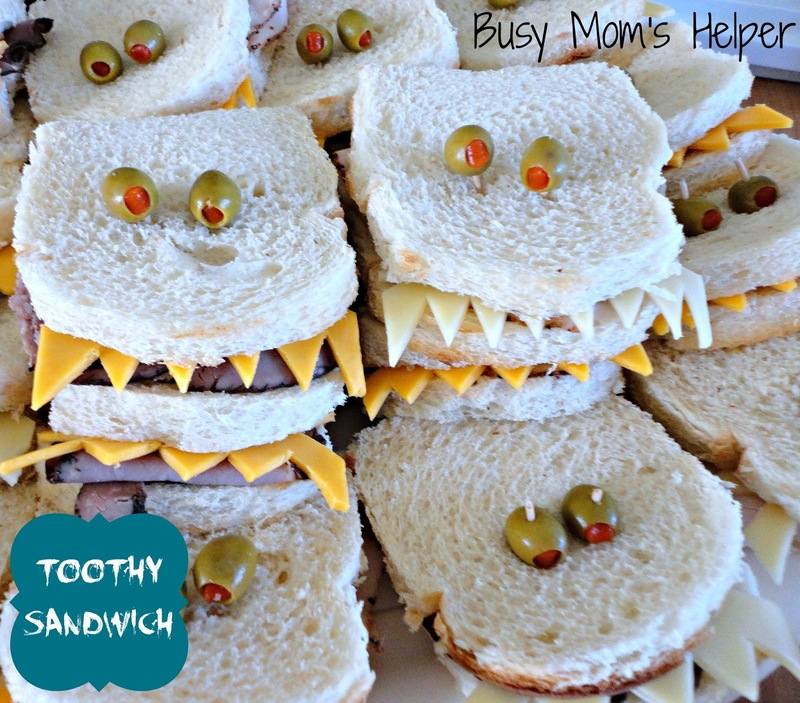 I love sharing the best of Busy Mom’s Helper with y’all, and love to see what you liked best! What do YOU consider the 2013 Best of Busy Mom’s Helper? Happy Labor Day! I don’t know about you, but I REALLY needed today, just a break from normal school-work-life. Can you relate? Anywho…even though this 3-day weekend is almost over, I thought sharing a little extra FUN thing would add a few more smiles! So this summer we visited my family back in Utah, and had So. Much. Fun!!! Seriously, my mom is such a fun, cute grandma, and loves doing extra fun things for the kids. While we were there she decided to take us to see Monsters University, and to get the kids excited we had a Monster’s University Pre-Party the night before. See, told you she was fun!!! My uber-talented sister (well, one of them – I have four!) made this amazingly cute Cutie Cupcakes. 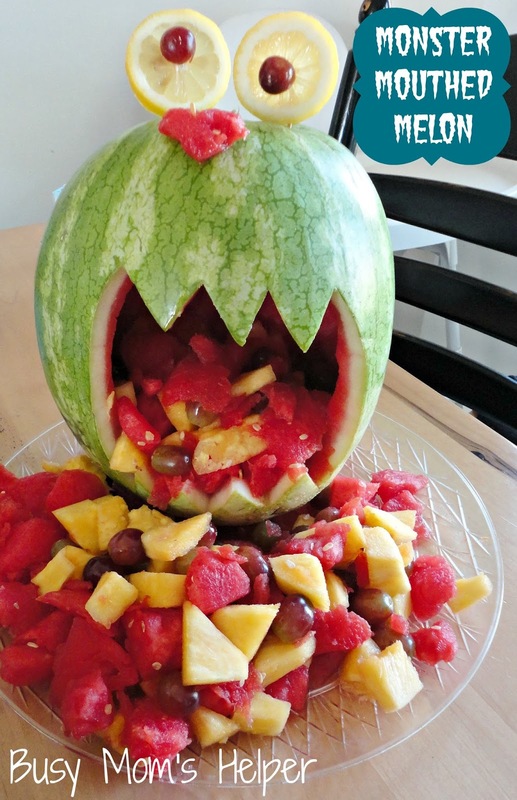 The kids thought they were so fun – although some of them absolutely refused to eat the eyes, even though they’re just sugar candy. My adopted-into-the-family-because-she-is-just-so-awesome sister created this Monster-Mouthed-Melon, who’s either eating up everything, or spitting it back up. Either way, tons of fun! Advice: careful when transporting the finished product in your vehicle….this tipped over in hers, spilling fruit juice everywhere! 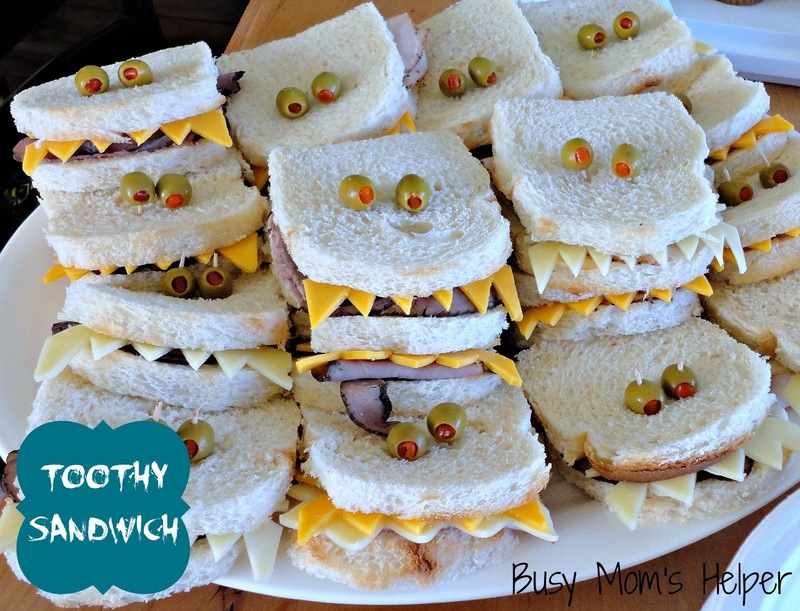 Finally, my mom and a bunch of us put together these Toothy Sandwich guys. Scary yet too cute to resist! It was such a fun party, such a fun SUMMER! Sad to see it go, but excited for all the upcoming food, crafts and other exciting holiday stuff soon to be our way. Bring on the Holidays!! !